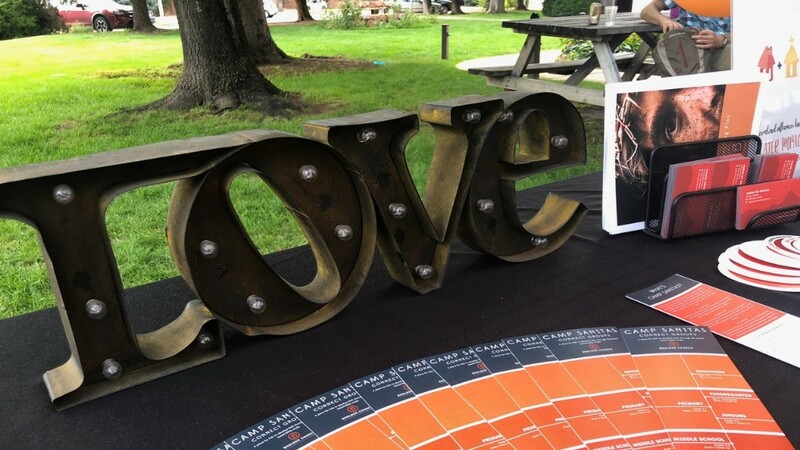 Boulder Church Holds Another Successful Porchfest » Boulder Adventist Church joined the rest of the Mapleton Hill neighborhood for an afternoon of music and mingling on Sunday, September 16. Twenty-seven concerts by local musicians took place on porches in the area. Boulder Church has participated in Mapleton Hill's PorchFest, which started in 2012, for the past three years. 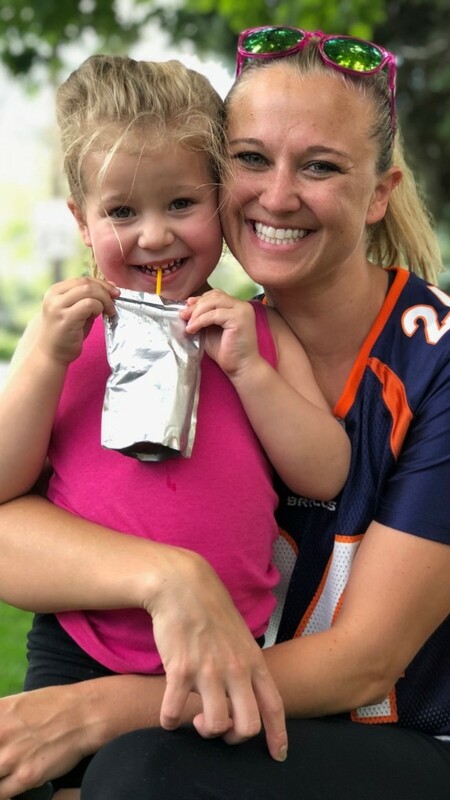 "We have been so fortunate to be a part of an event that brings our community together," commented Jessyka Albert, associate pastor for the Boulder Church. Pastors Jessyka and Japhet are both members of the committee that meets throughout the year to plan and organize the event. This year, Boulder Church offered incredible music by the Boulder Brassaholics (an ensemble of trumpets, a tuba, and a horn) and our very own Chapels & Cathedrals collective. A big thank you to Russell and Sarah Palmer and Rebecca Murdock for sharing worshipful songs with the neighborhood, including many they had written and composed themselves. The Church offered a kids' craft table, along with information about our programs and services and ice cold drinks. We shared our church lawn and parking lot with the Museum of Boulder and The Twist food truck. None of this would have been possible without the incredible Boulder Church members and partners who came to help, support, and enjoy the event. The organizers expressed their appreciation for all their work and support. PorchFest, an annual event held on the third Sunday of September, originated in New York and has spread across North America with at least 60 events taking place this year. Boulder Adventist Church considers full involvement with its community to be a central component of its ministry. Women Meet on Western Slope for Retreat » Western Slope women's retreat, "Bear One Another's Burdens," was held outside of Montrose last weekend and welcomed women from all over the Western Slope, Utah, and the Front Range. Keynote speaker, Jeanie Ryan brought God's Word to life as she shared biblical stories and illustrations of people who followed Jesus' injunction to "bear one another's burdens." The weekend was filled with laughter, song, prayer, and stories for these women who had gathered to learn and grow. Several husbands were on hand to cook and provide behind-the-scenes support. "We appreciate Judy Kelley, Jerilyn Pester, and their team who did an incredible job of planning and orchestrating the weekend," commented DeeAnn Bragaw, women's ministries director. 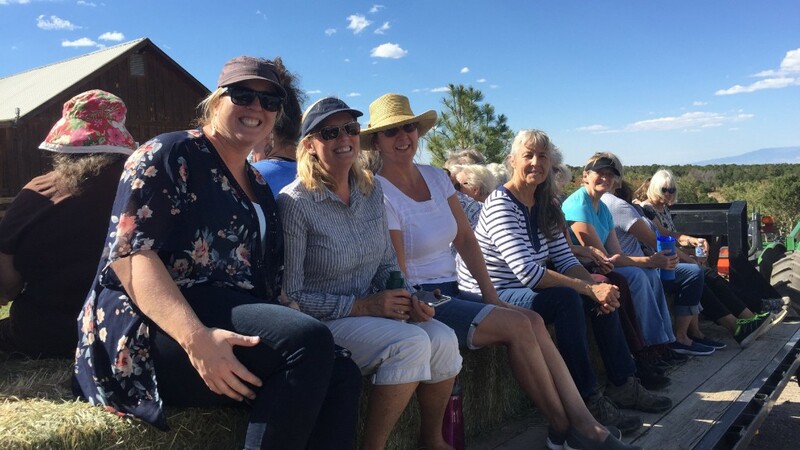 Jerilyn Pester from the Western Slope Women's Retreat Committee commented, "We would like to give a huge thank you to all the ladies that attended [the retreat] and we were blessed with your attendance." Another women's retreat will be held next weekend at Glacier View Ranch. View the brochure at: www.rmcsda.org/women. Registration is online and begins July 15. For questions email [email protected], or text/call 303-243-1172. 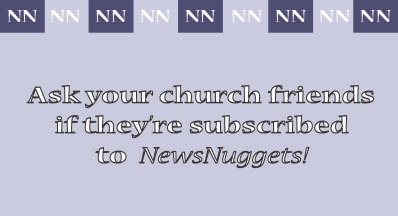 To submit a story from your church, send email to [email protected] by noon Wednesday for any Friday publication. Remember to send photos and to identify the photographer. 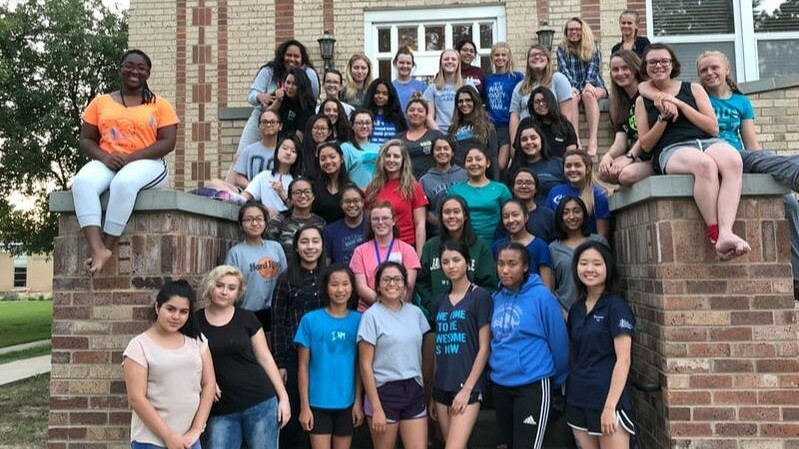 Campion Dorm Retreats Build Connections » Under the theme, "Captivated," Campion's dorm ladies held their annual Girl's Dorm Retreat last weekend. Speakers Mindy, Melenga, and Vivian, long-time friends of Dean Melissa Mekelburg, spoke to the theme, asking each young woman the question, "What makes you captivating?" Resident assistants Tristan and Jessica led the girls in reflecting on captivating women of the Bible, “it really humbles me to be reminded that everything works in God’s special plan to make us His captivating daughters,” commented Jessica. 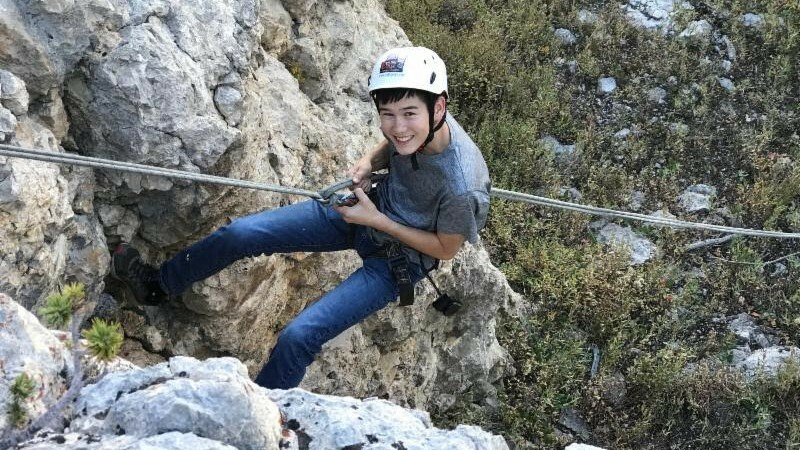 The guys' dorm disconnected from distractions by heading to Mills Springs Ranch in Wyoming for their annual retreat. Speaker Gary Force, father of head dean Daniel Force and pastor of the Durango and Pagosa Springs churches, led them in worship during the weekend. Sabbath afternoon found them hiking, rapelling (descending a rock face or other near-vertical surface by using a doubled rope coiled around the body and fixed at a higher point), and slack-lining (walking or balancing along a suspended length of flat webbing that is tensioned between two anchors). "The best part was being able to grow closer as a dorm and getting to know everyone a little bit differently," reflected Connor, RA. See Connor's slideshow of the weekend here. Campion Academy Alumni Weekend » We are looking forward to welcoming back our treasured alumni for the weekend of September 21-23 and catching up with dear friends and Campion family members. Join us for a special Sabbath service beginning at 9:30 a.m., especially honoring the classes of 1948, 1953, 1958, 1963, 1968, 1973, 1978, 1983, 1988, 1993, 1998, 2003, 2008, 2013, and 2018. Don't forget to sign up for Reeder's Golf Classic on Friday morning, get ready to take on the boys varsity soccer team on Saturday night, and join the motorcycle ride on Sunday morning. Click here to register online and for the complete schedule. Memorial Service for Jere Wallack » A memorial service will be held at Campion Academy Seventh-day Adventist Church in Loveland, Colorado, on September 23 at 2 p.m. In lieu of flowers, the family encourages donations to Campion Academy in Loveland, Colorado, where Jere and Nancy met. Women's Retreat at GVR » Don’t miss out! Sign up TODAY for our “Branded in Christ” Women’s Retreat NEXT WEEKEND, September 28-30 at Glacier View Ranch! You’ll be glad you joined us for dynamic seminars, our amazing prayer room, great music, and time in God’s Word with Heather-Dawn Small. There’s still room for YOU! Go to www.rmcsda.org/women for the link to register! Call 303-243-1172 with questions, and we’ll see you next Friday! 9Health Fair » Vista Ridge Academy will host a 9Health Fair on Friday, September 28 from 7 a.m. to noon. We are looking for volunteers, both medical and non-medical, to help in a variety of areas. Consider donating your time and expertise! To sign up as a volunteer, please visit https://www.9healthfair.org/health-fairs/fall/288/index or contact Marsha Bartulec at [email protected] or 303-828-4944. The Adventist Church at the Crossroads Event » Boulder Church senior pastor Japhet De Oliveira will participate in The Adventist Church at the Crossroads event at Oakwood University on Monday, October 8 from 9 a.m. to 1 p.m. alongside featured presenters Dr. Jon Paulien and Dr. Leslie Pollard. They will discuss questions such as "Is the Adventist Church still the remnant church of biblical prophecy?" "What are the absolute essentials of Adventism?" "What about charges that the church is becoming more authoritative--more Catholic?" and "What are the issues and implications of the 2020 General Conference Session?" This simulcast is available onsite and online. To join live, register at BCBleadership.com. Attend The Appearing in Three Weeks » The ancients predicted it. Millions of people can’t stop talking about it. And even though global unrest and natural disasters indicate it will happen soon, few agree on exactly how or when it will happen. Is it possible that many people are making a mistake about the Appearing—an event mentioned more than 2,500 times in the Bible? Don’t miss The Appearing, hosted by Voice of Prophecy Speaker/Director Shawn Boonstra and local pastors. It all begins October 11 at a church near you. Test your knowledge about the Appearing and find the host location near you at appearing.org. Colorado Springs Central Church » Jesus is coming soon! Learn how to prepare for His return through the power of prayer and the Holy Spirit at Central's Week of Prayer, October 20-25. The program begins on Sabbath, October 20, with church service followed by lunch and an afternoon program. Sunday-Thursday, a free dinner will be served in the Fellowship Hall at 5 p.m. followed by the program at 6:30 p.m. in the sanctuary. There will be a separate program available for children. Our guest speaker for the week is Pastor Roy Rugless, a former Conference Director with emphasis on Prayer Ministries. Central Church is located at 1305 N. Union Blvd., Colorado Springs, CO. For more information, call the church office at 719-578-5616, or visit our website, www.centralsda.org. ACS Disaster Response Training » Become certified in Donations Management and help people in need during a disaster like Hurricane Florence in North Carolina. This training is recognized by FEMA and the State of Colorado Emergency Management. Instructor Cathy Kissner is the Rocky Mountain Conference Community Service Director. She is certified in NAD ACSDR, FEMA, and Colorado Division of Emergency Management to be a training instructor in Donations Management. For pre-registration, email [email protected] Spanish manuals are available. Mile High Academy » Mile High Academy has immediate openings for the 2018-2019 school year for two part-time drivers for our transportation routes. Qualified candidates will be at least 21 years old, possess, or be able to obtain, a current Colorado driver's license (Commercial Driver's License not necessary) have no more than two traffic citations and no at fault accidents during the last three years. Candidates must also possess current U.S. work authorization. While maintaining the dignity and respect for all students, the driver's primary responsibility is the safety of students while transporting them to and from school. To apply, please send an email to Noemi Borjon to request an application (noemib@rmcsda.org) or contact her by phone at 303-282-3653. Vista Ridge Academy » Seeking candidates for a Part-time Extended Care Supervisor (8-10 hours per week). Candidates must be an active member of the Seventh-day Adventist Church and available to work after school. "Ask God to help you surround yourself with an oasis of love. An oasis of caring. An oasis of compassion. The world desperately needs it."